Suddenly, on the busy shopping street of Kappabashi-dori: these! Here are my favorite places in Tokyo to see them, from mid-February to March! 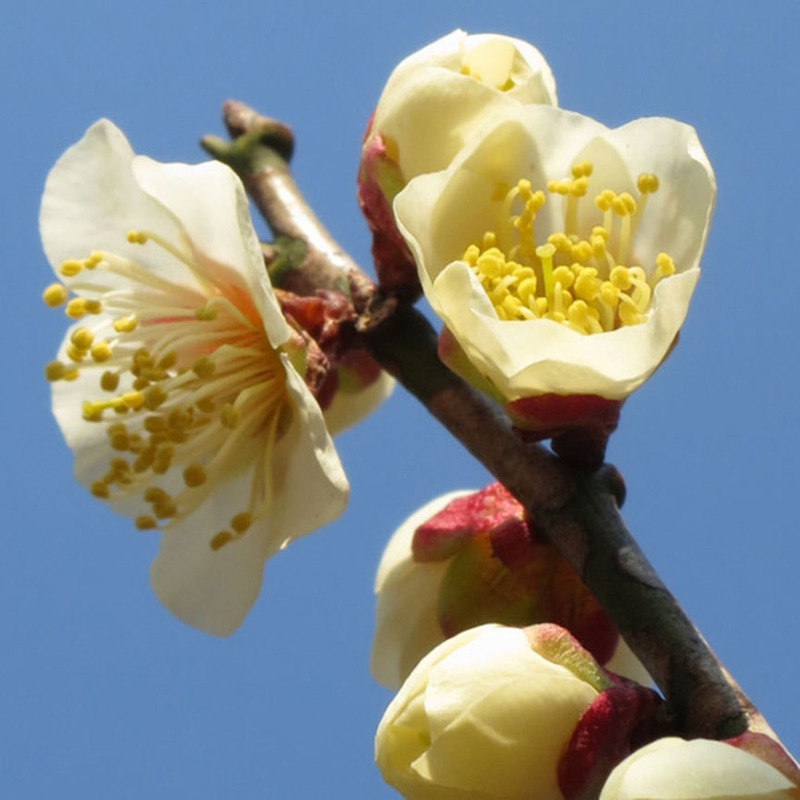 Plum trees aren’t always particularly pretty, but look at this shapely beauty! This fabulous botanical garden is about a 10 minute bus ride (or a pleasant 25 minute walk) from Chofu Station, and it’s well worth the trip! Bonus attraction: it’s bordered by the Jindai-ji temple, with an old-fashioned shopping street featuring lots of soba noodle restaurants. Ikegami Honmonji temple has an entire garden dedicated to plum trees, with nice thatch-roofed teahouses situated among them. 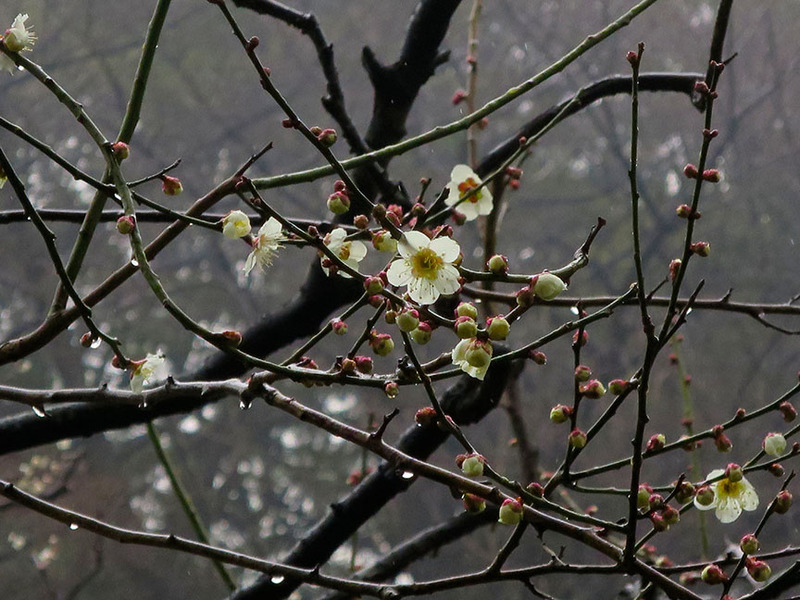 Tucked away in Hiroo, on the highest hill in this jewel of a park, is a lovely circle of plum trees. It’s a nice place to rest and enjoy. This temple also has a shrine with a boatload of lucky cat figures & an awesome wooden pagoda. 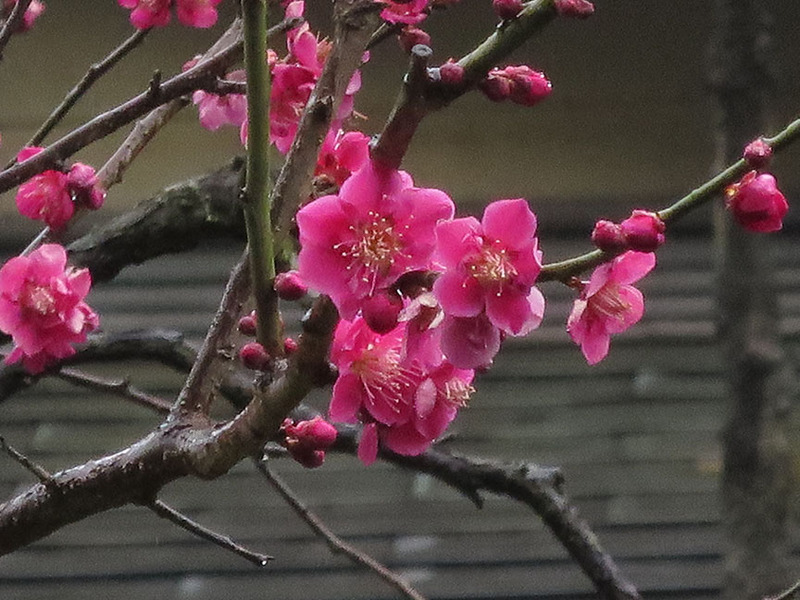 This garden is one of the most famous in Tokyo for plum trees. As a bonus, they’ve planted a sea of yellow flowers behind the earliest-blooming trees, and it’s a favorite place for wedding photography, so you might see some brides in kimono while you’re there. This temple is famous for wisteria, but it turns out they have a killer plum tree collection too. 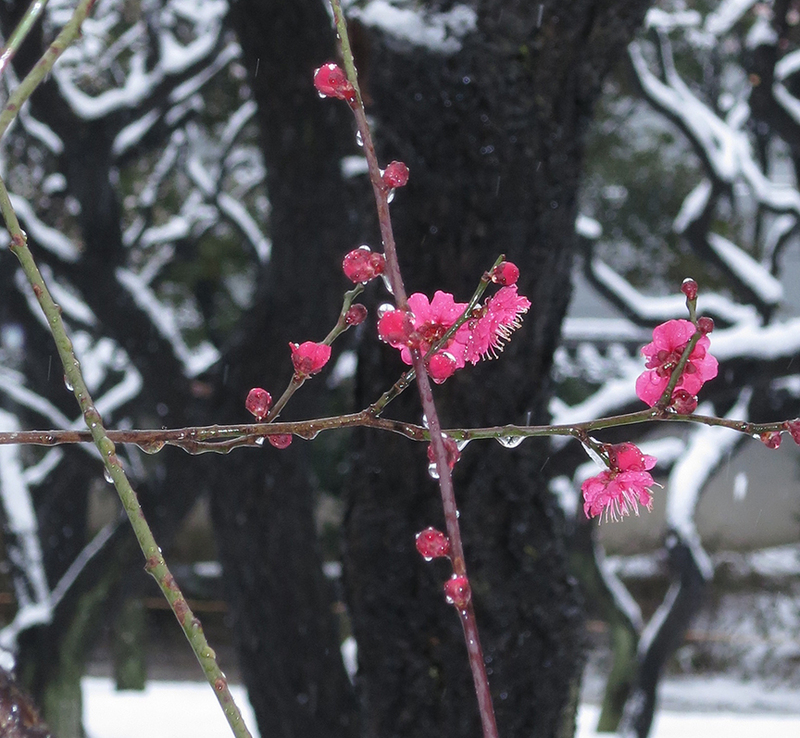 Any shrine that has “Tenjin” or “Tenmangu” as part of its name has a collection of plum trees, and often there is a red one and a white one flanking the entrance to the sanctuary. 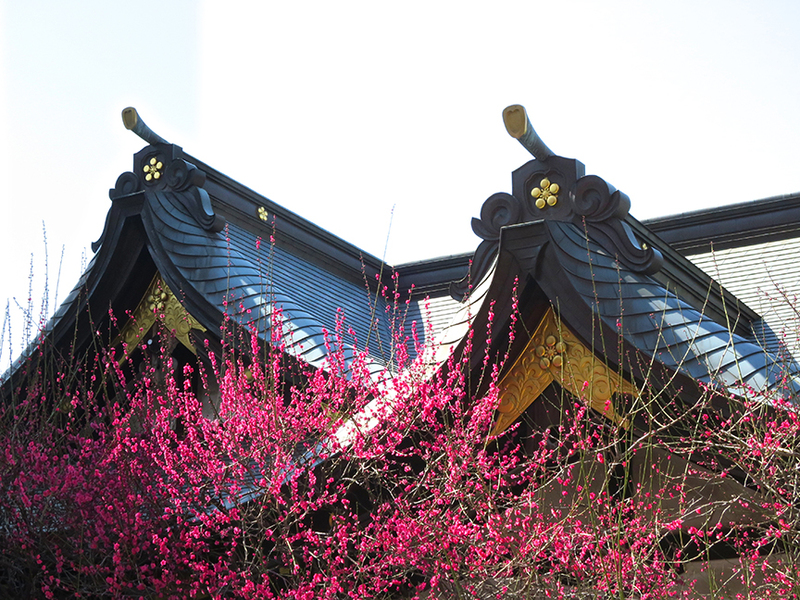 This is a small shrine near Koraku-en, but it’s really glorious in plum blossom season. As a bonus, it has a cow-shaped rack for tying your unwanted fortunes to. 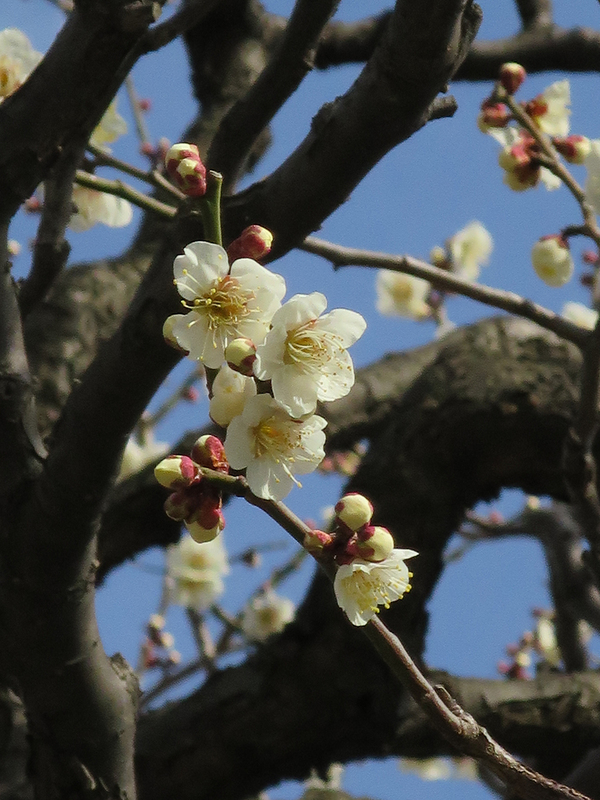 The plum grove at my favorite Tokyo garden blooms early and often. Lots of different kinds, plus the rest of the garden is beautiful too. 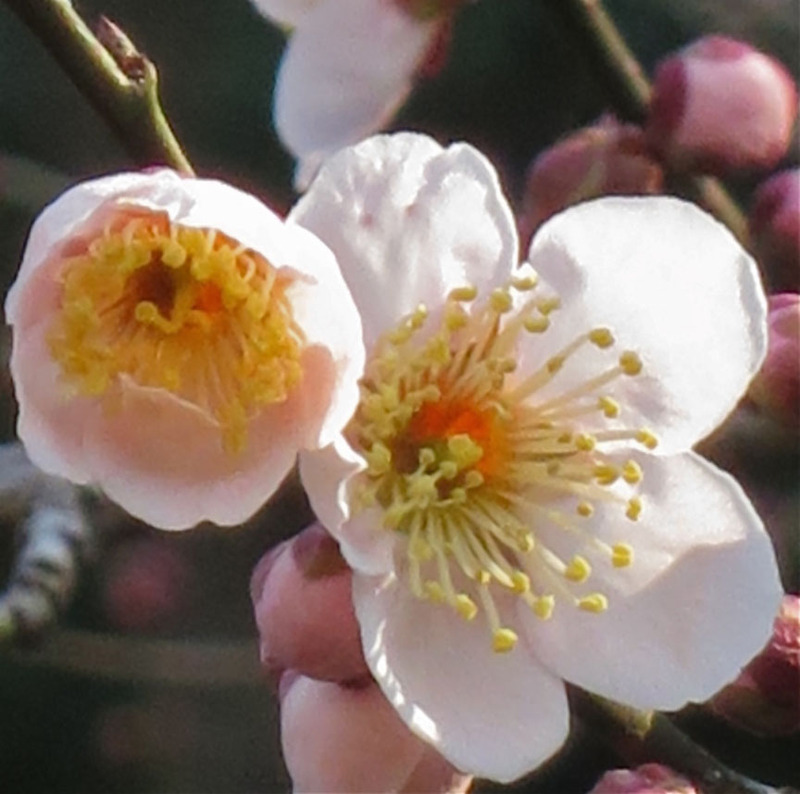 This is a small but exquisite formal garden, and although the plum grove isn’t large, the varieties are very beautiful. 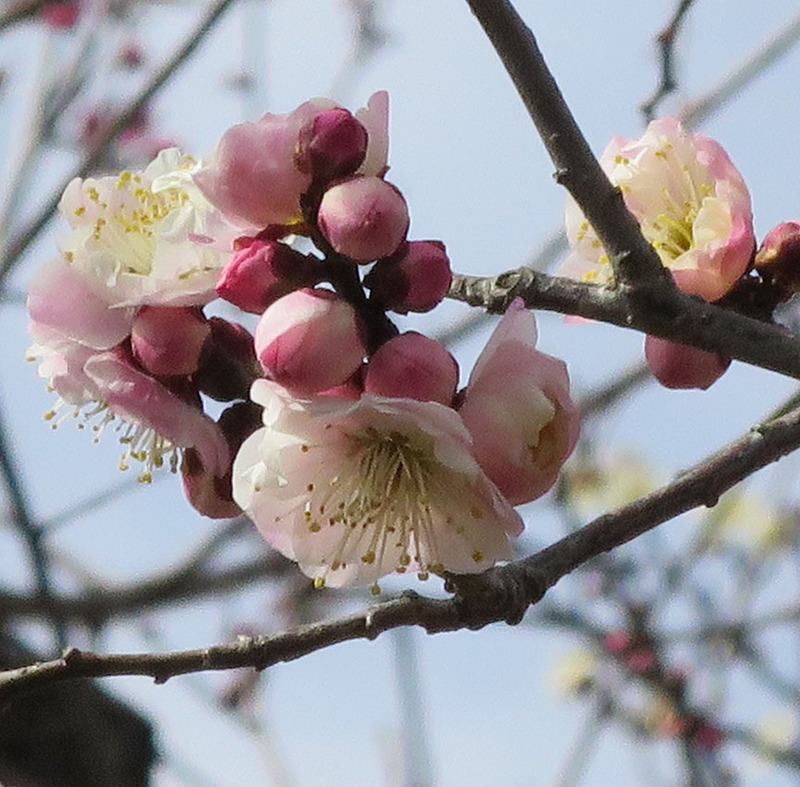 Some trees have both pink and white blooms on the same branch! 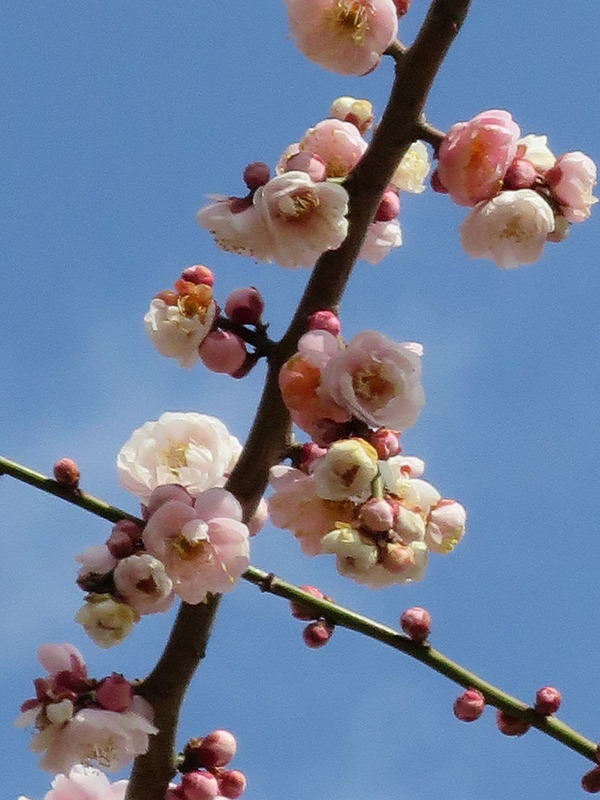 If you’re lucky, the very early-blooming cherry tree will be dressed in pink at the same time! 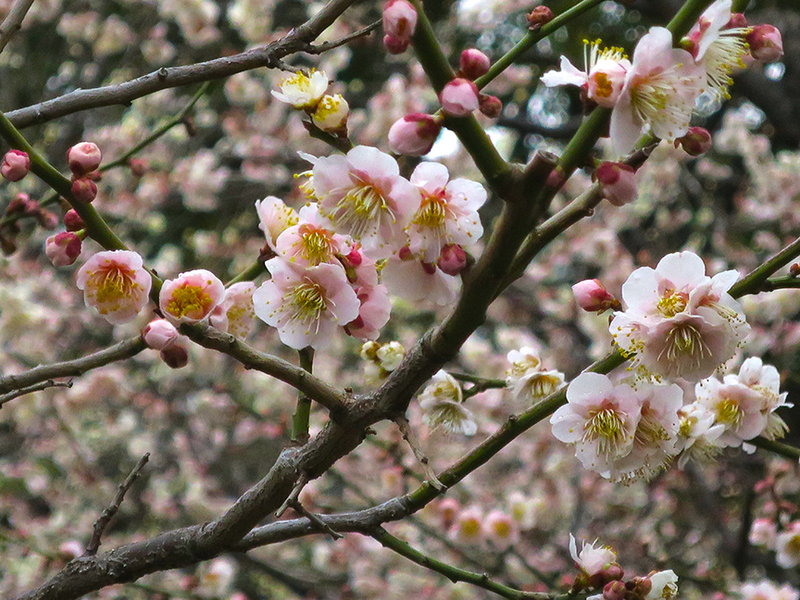 This park is a bit of a schlep in the Yokohama direction, but it’s well worth it in plum blossom season. 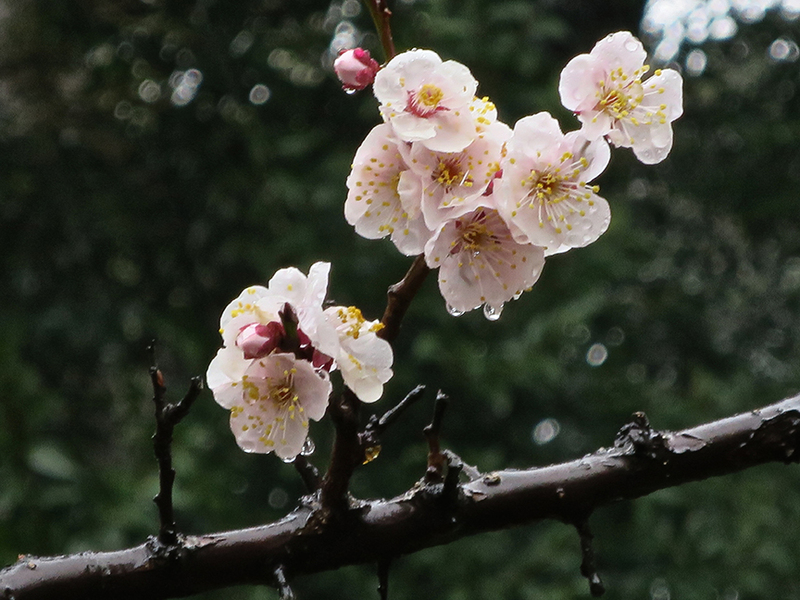 There’s a grove of many different kinds of plum trees in the traditional Japanese garden area, by the tea house. 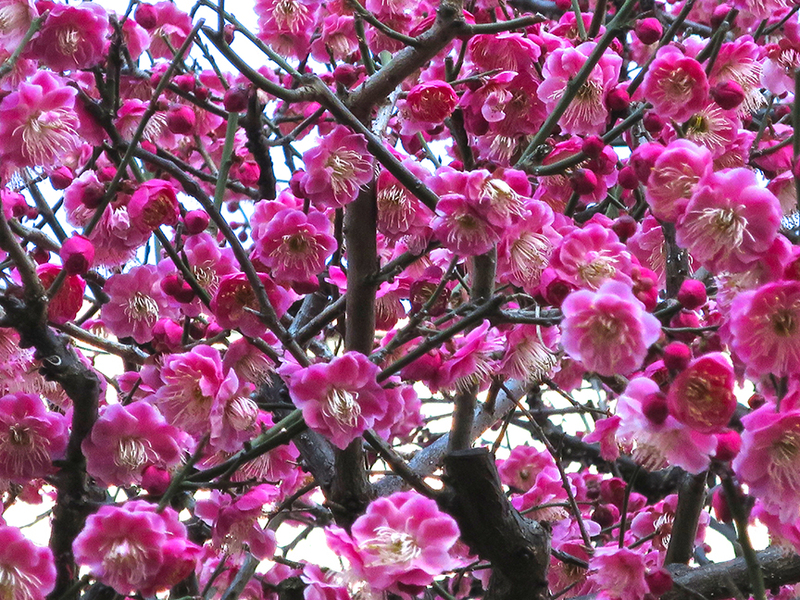 Any time of year, Shinjuku Gyouen never disappoints. 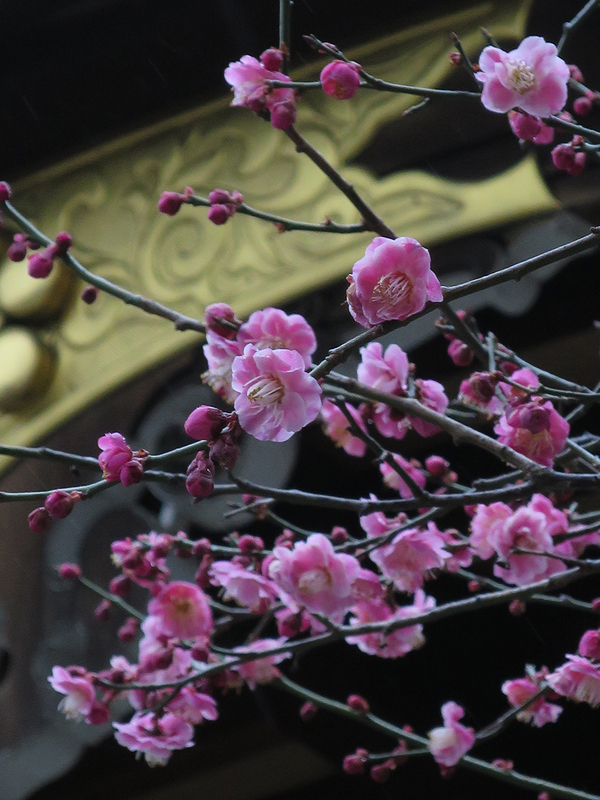 This is one of the most beautiful shrines in Tokyo, and it not only has a ton of plum trees, it has a festival to celebrate them, from Feb 6 – Mar 6. Are you in town? 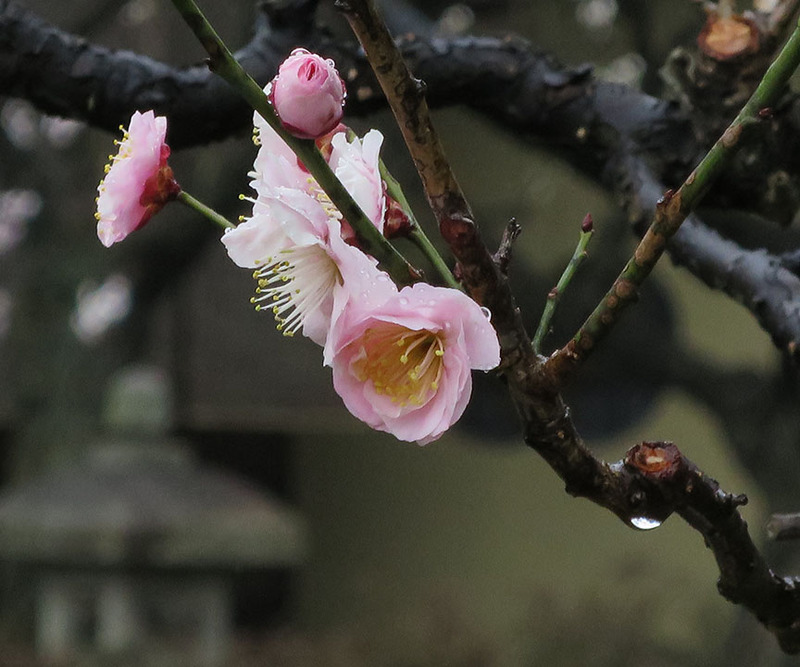 I would be honored to take in some ume with you. It’s high time we met. 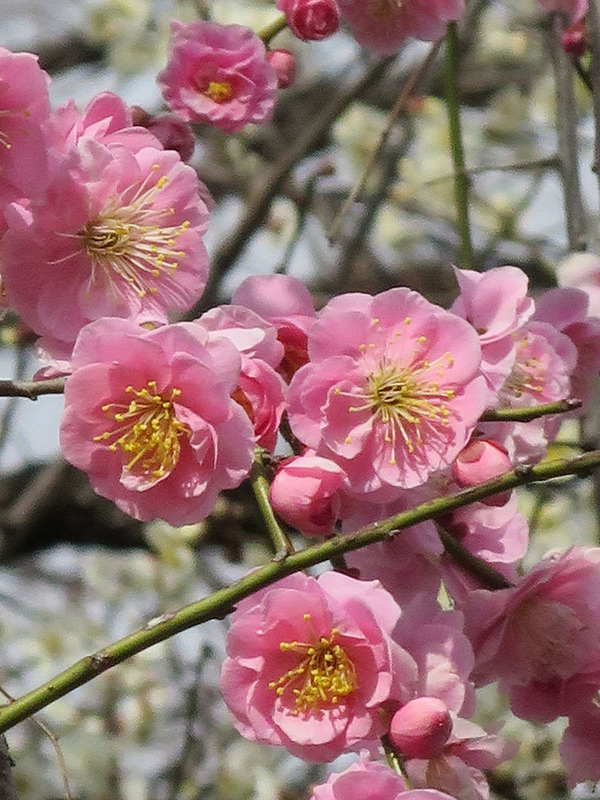 I’m sadly SADLY going to miss all of plum blossom season this year ( ; _ ; ) but I’ll be back in time for the accursed cherries. Rain check? 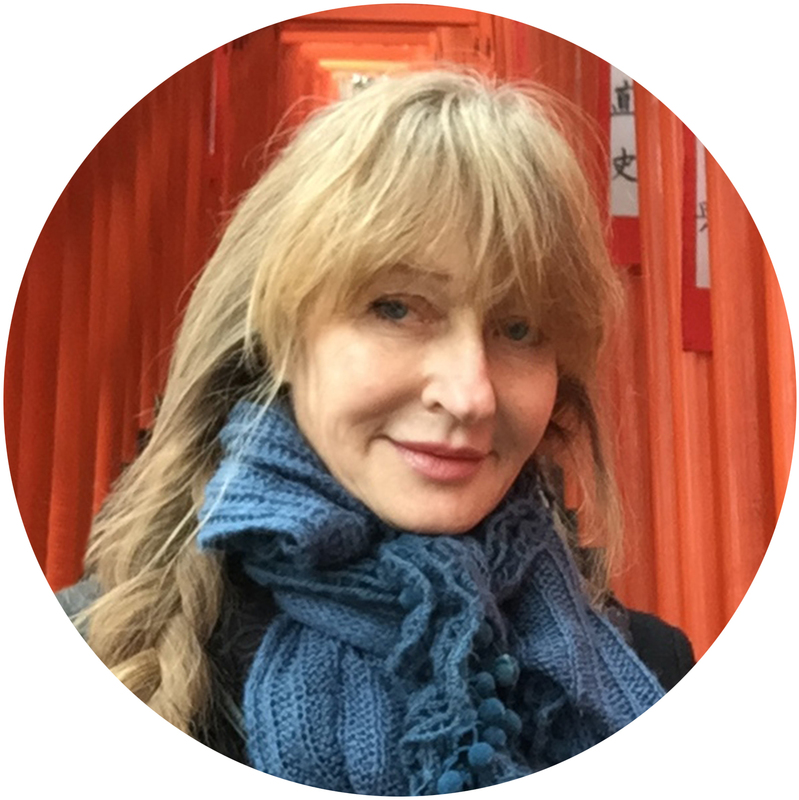 I would love to meet you, if you’re not too busy! Love the accursed cherries! Let me know when you’re in town. I’m gone April 18-May 1, otherwise any time is good.